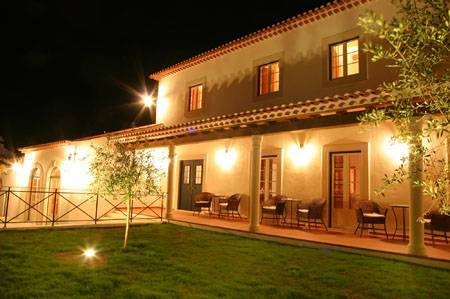 Hotel Casa de Campo Sao Rafael is a beautiful country house located 2 km from the town of Obidos. 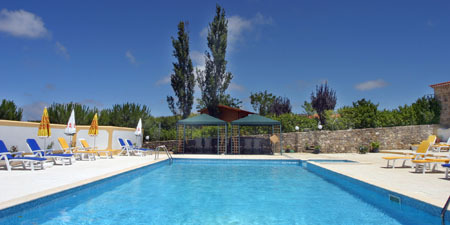 It offers guests a wonderful view of the Obidos village and its castle. 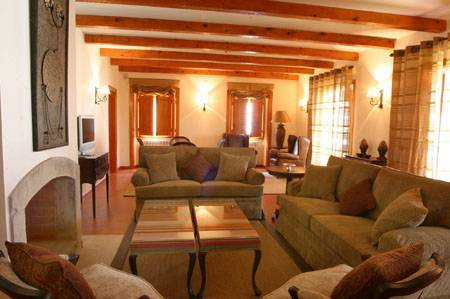 Casa de Campo Sao Rafael offers 6 charming rooms fully equipped with all the amenities. 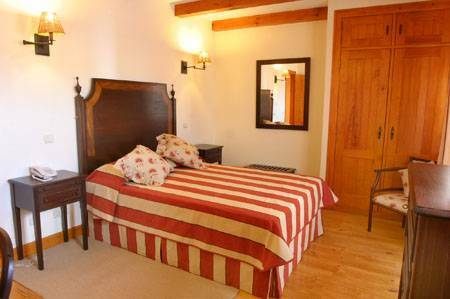 This Obidos Hotel also offers 4 apartments in separate houses with private bathroom. Casa de Campo Sao Rafael was built back in 1888 in an area of 6800 square meters with gardens. 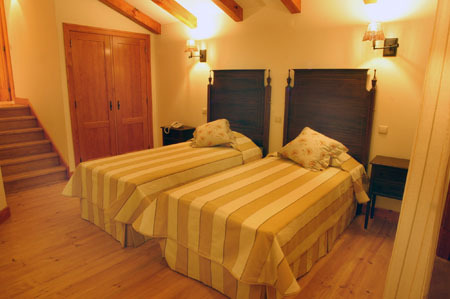 It has been recently inaugurated in July 2005 and guests will be enjoying the brand new rooms and facilities. 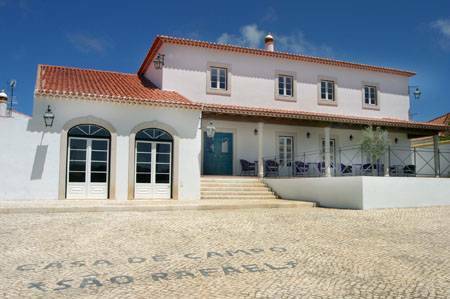 Casa de Campo Sao Rafael is located 2 km from the historic centre of Obidos and 75 km from the capital Lisbon. Payment by:money, credit cards, debit cards. 1. As you leave the airport you will come to a large roundabout with traffic lights. Take the first available right off this roundabout. (Signed 2a Circular). This will bring you up onto an urban motorway. Within 1. 5 kms you will pick up the blue motorway signs indicating the A8 to Loures/Leiria. Follow this. 2. Keep on this motorway for approximately 73 kms picking up signs for Torres Vedras, Lourinha, Bombarral, Peniche, Obidos and Caldas da Rainha. Leave at the Exit 15 signed óbidos. Casa de campo sao rafael is a 2 km from obidos in the way to caldas da rainha.